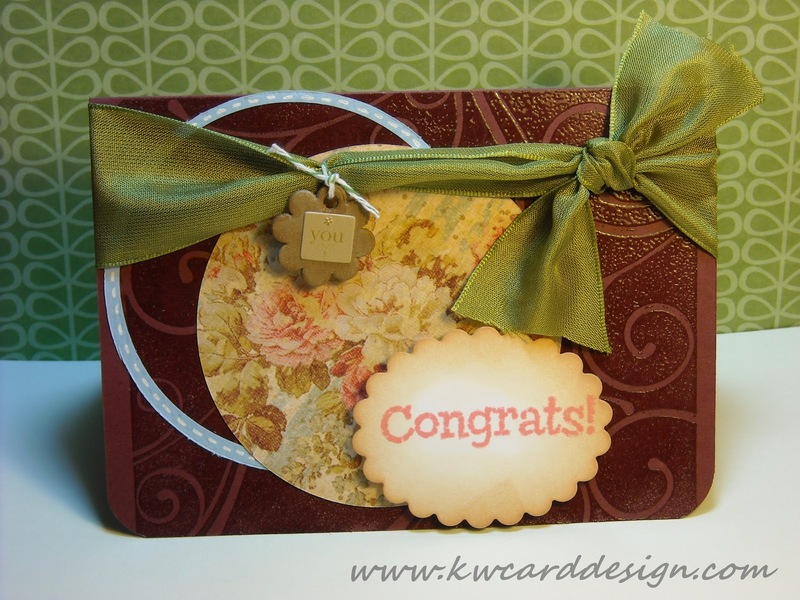 KWCardDesign : So glad its Friday! Hi blog readers!- I wanted to pop in and share this card I just finished with you all. First- hope everyone's week was good. Mine, it never changes- meaning it continues to stay busy, busy like a bee! Lots of new changes happening in my dept. right now. Sometimes, change is good. I am still trying to get back in my groove. I feel like I am not there yet, but I still crank out a card or two. So- let me go ahead and show you the one I made this evening.